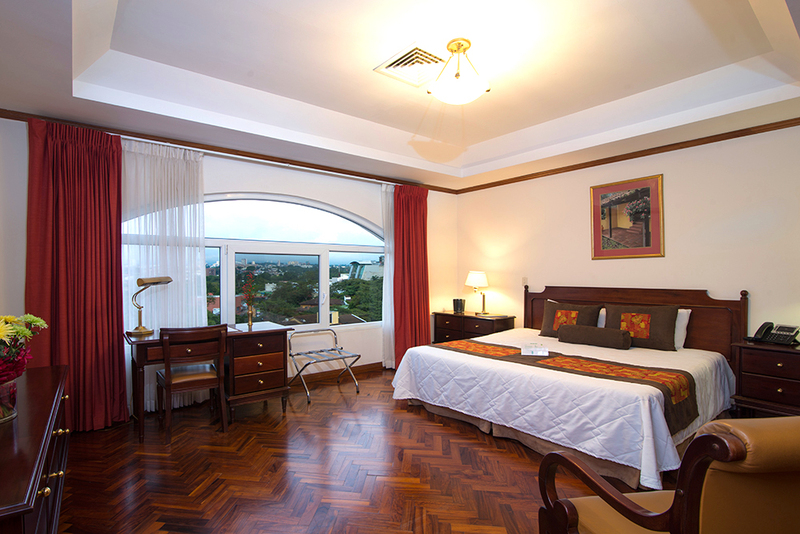 The Family Suite is a comfortable apartment for families or groups of up to 6 guests. Featuring a big master bedroom with a King bed and incredible views of San Jose, you won't want to leave your suite. Two more bedrooms with plenty of closet space for the rest of the group one with a Full bed and the other two Twin beds. It also includes flat screen TV, work space in the living room and a fully equipped kitchen. Having your own fully equipped kitchen makes the suites more than just a hotel, it is your own space. From making dinner or just boiling some tea, this is your space. Have enough space to entertain visits or have meetings at your Suite comfortably, not on your bedroom.